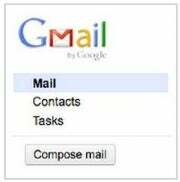 Google decided to revamp Gmail to make its contacts easier to use and more business-friendly, but I already hate it. If you're like me, using Google's Web-based e-mail since 2004, maybe you've watched Muzzle, random signature, and Google Buzz come and go; used the automatic vacation responder; and may even have integrated Gmail with Microsoft Outlook. Perhaps you may also work at a business using Google Apps, the business application suite of products including Gmail and Google Docs. How have Gmail's contacts changed? Instead of the previous load of names and e-mail addresses spilling on to the screen--basically a list of anyone you have e-mailed or anyone who has ever e-mailed you--it lets users organize contacts into neat little pigeonholes such as "Friends", "Family", and "Coworkers", or you can create a unique title for any group of e-mail addresses and contact data. Among the subtle changes are a Compose Mail button. But, don't we expect more from Google? Why can't the tech giant differentiate friends from strangers by using another genius algorithm? It already keeps track of who we e-mail most, so why can't it do some of the work for us? 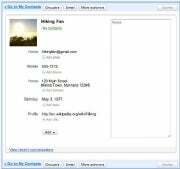 Merging contacts and moving boxes around to different parts of your address book isn't anything new, but an application that would add phone numbers, addresses, and other information from existing e-mails would be. This is where Google could win the hearts and minds of clients, by searching e-mail for that information and adding it in for them. It could ask a few questions to customize each user's experience, and make this a feature that no one could do without. I don't think the new contacts information helps the average person any more than a Windows-based desktop e-mail client, such as Outlook, would. Perhaps the new contact grouping could be beneficial, but I probably won't use it. Who wants to spend more than five minutes a day doing boring data-entry on one's contact lists? In an office, employees may also be less inclined to do the work by hand--especially since Google already auto-completes e-mail addresses, so you really don't have to remember much of a contact's e-mail address. Workers may also resist updating contact information when they, too, must add addresses, phone numbers, or notes. Gmail has revamped Contacts management. While the new version of Gmail isn't as intuitive as the older version (which you can still use by scrolling to the bottom of the page, then clicking "older contact manager" or "older version" in Gmail View), it does provide new uses for businesses and the highly organized. For the rest of us, I can say that I liked it just as it was.